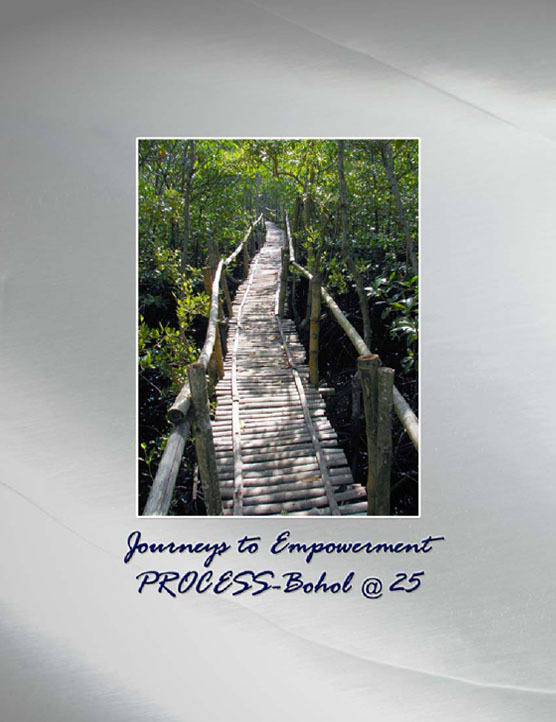 Coffeetable Book – PROCESS-BOHOL, Inc.
Make a donation to help our partner communities and get a free copy of the PROCESS-Bohol Coffeetable Book!!! How can one capture in 100 pages the history of an organization in the last 25 years? This was the question that challenged the project team of this book in early 2009. Indeed, to capture in only a few words, in only several pages, the lives of more than a thousand people, their long years of struggle towards development, and the many journeys they have taken to attain empowerment, is a formidable task. However, this book doest not take this claim. This book is only a snapshot of the many things that happened since the first day PROCESS set its foot in the shores of Bohol. The project team would have wanted to make a coffee-table book (in its real essence) but the history of PROCESS-Bohol was written in the early years without the benefit of modern-day photography. What we have here instead, is a mixture of lengthy texts and pictures that try to explain what PROCESS-Bohol underwent to become the organization that it is today. This chronicles the challenges faced, the problems solved, the successes won, and the people who sacrificed to make a difference in the communities we live in. It also presents the many approaches that the organization utilized, the different partnerships that were undertaken, and the different programs pursued in order to realize the kind of world it envisioned. More importantly, it documents how the lives of people have changed as a consequence of its existence-those of its partners, staff, and partners in the communities. 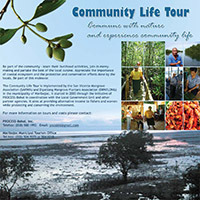 This book is a product of collaborative effort of many individuals that made PROCESS-Bohol what it is today. Like the boardwalk photographed in the cover, each part of this book is sensitively laid by volunteer writers to weave a coherent story that would lead the reader to an understanding of where PROCESS would like to go from here. This book is aptly titled Journeys to Empowerment, as it tells the story of how PROCESS empowered itself while it tried to help people find their voice and claim their place in their communities.